Who invented the Computer Mouse? The name of the person credited with inventing the Computer Mouse is Douglas Engelbart (1925 - 2013). Douglas Engelbart is not only famous as the American inventor of the Computer Mouse but also as a designer and engineer. When was the Computer Mouse invented? Douglas Engelbart invented the Computer Mouse in 1964, during the Technology and Information Age of inventions. Patent number 3,541,541 was issued to Douglas Engelbart on November 17, 1970 for the 'X-Y Position Indicator For A Display System' which became known as the Computer Mouse. 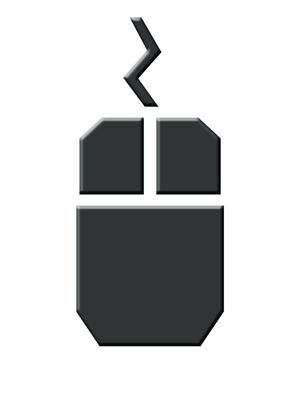 Definition of the Computer Mouse: The Computer Mouse is defined as a small, hand-operated electronic device that controls the coordinates of a cursor on a computer screen as it moves around on a mouse mat or pad. On the bottom of the device is a ball that rolls on the surface of the pad that enables the free movement of the Computer Mouse. Fact 1: Who invented the Computer Mouse? The Computer Mouse was invented by Douglas Engelbart in 1964 during the Technology and Information Age of inventions. Fact 2: Who invented the Computer Mouse? Prior to the invention of the Computer Mouse in 1964, data was entered on a computer by typing commands on a keyboard. Fact 3: Who invented the Computer Mouse? The inventor of the Computer Mouse, Douglas Carl Engelbart, was born on January 30, 1925 in Portland, Oregon, United States and died on July 2, 2013. Fact 5: Who invented the Computer Mouse? Douglas Engelbart was educated at Franklin High School in Portland and following his graduation he attended Oregon State University where he studied electrical engineering and he later finished his studies with a BA at the University of California, Berkeley. Fact 6: Who invented the Computer Mouse? His education was interrupted by the outbreak of WW2 (1939 - 1945) and he was drafted into the US Army where he worked as a radar technician based in the Philippines. Fact 7: Who invented the Computer Mouse? After the war was over he completed his education at Oregon State University and his first job was working as an electrical engineer at a government aerospace laboratory. Fact 8: Who invented the Computer Mouse? Douglas Engelbart continued his studies and in 1955 earned a Ph.D. in electrical engineering from the University of California, Berkeley and began working at the Stanford Research Institute. Fact 9: Who invented the Computer Mouse? He became interested and heavily involved with research projects working on computer-sharing methods and tools. Fact 10: Who invented the Computer Mouse? Douglas Engelbart conceptualized a point-and-click computer device in 1964 and his invention would become known as the 'Computer Mouse'. Fact 11: Who invented the Computer Mouse? The first device consisted of a rectangular wooden case, a circuit board and two metal wheels that roll back and forth when it came into contact with the surface it was being used on. Fact 12: Who invented the Computer Mouse? Engelbart's device was first publicly demonstrated to 1000 computer professionals at the 1968 Fall Joint Computer Conference which became known as the "The Mother of All Demos". The 90-minute presentation by Douglas Engelbart featured the introduction of a complete computer hardware and software system including efficient navigation and command input. Fact 13: Who invented the Computer Mouse? The new device was originally referred to as an "X-Y Position Indicator for a Display System" and this is the name on Patent number 3,541,541 that was issued to Douglas Engelbart on November 17, 1970. Fact 14: Who invented the Computer Mouse? The device was given the nickname of 'Computer Mouse' simply because looked like a mouse with a tail. The name stuck and the 'Computer Mouse' was born with the ability of moving a cursor with a point-and-click action with three buttons, a small device that fitted comfortably in the user's hand. Fact 15: Who invented the Computer Mouse? Initially Douglas Engelbart did not receive the credit for his invention. Neither did Bill English who working with Engelbart and jointly developed the invent the trackball mechanical mouse that featured a ball to control the X - Y wheels which would become the common design of all mice until the development of tools such as the optical mice. Fact 16: Who invented the Computer Mouse? The invention of the Computer Mouse was used in the Xerox Alto computer system, the first minicomputer system to offer a graphical user interface but never achieved great success until the emergence of Apple Computer Company founded by Steve Jobs and Steve Wozniak and Microsoft Inc founded by Bill Gates and Paul Allen. Fact 17: Who invented the Computer Mouse? The Computer Mouse rose from relative obscurity when Steve Jobs and Apple featured its use when developing the first personal computer known as the Apple Lisa in 1983. Fact 18: Who invented the Computer Mouse? The Macintosh followed with several revolutionary new features including the 'mouse', an intuitive, graphical user interface with overlapping "windows" and menus and clickable images called "icons". Fact 19: Who invented the Computer Mouse? The Apple Mac became one of the first commercially successful devices to make use of a computer mouse. Fact 20: Who invented the Computer Mouse? The optical mouse was developed in 1988, eliminating the ball which often became dirty from rolling round the desktop which negatively affected its operation. Fact 21: Who invented the Computer Mouse? US patent no. 4751505 was issued for an optical mouse invented by Lisa M. Williams and Robert S. Cherry in 1988. Fact 22: Who invented the Computer Mouse? Douglas Engelbart received several awards during his lifetime including the prestigious National Medal of Technology and Innovation in 2000 but he never received any royalties for inventing the computer mouse. Fact 23: Who invented the Computer Mouse? Douglas Engelbart died of kidney failure in Atherton, California on July 2, 2013 at the age of 88 years old. He is now credited and remembered with his invention of the computer mouse.